After half a year in Copenhagen, I’m still bike-less, and when I tell anyone that, their reaction is something like “Oh. So how to do you get around?” I usually respond by saying, “Well, my legs are short, but they work just fine. 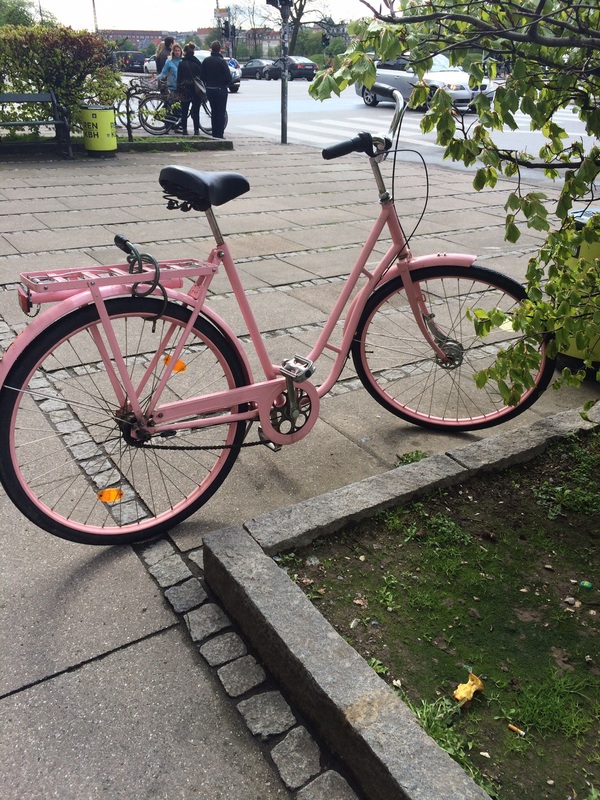 So yes, I can meet up with you in Indre By or Vesterbro, but it’s going to take me a while to shuffle over there.” Even though walking is pretty nice (and I enjoy it a lot), I definitely want a bike. 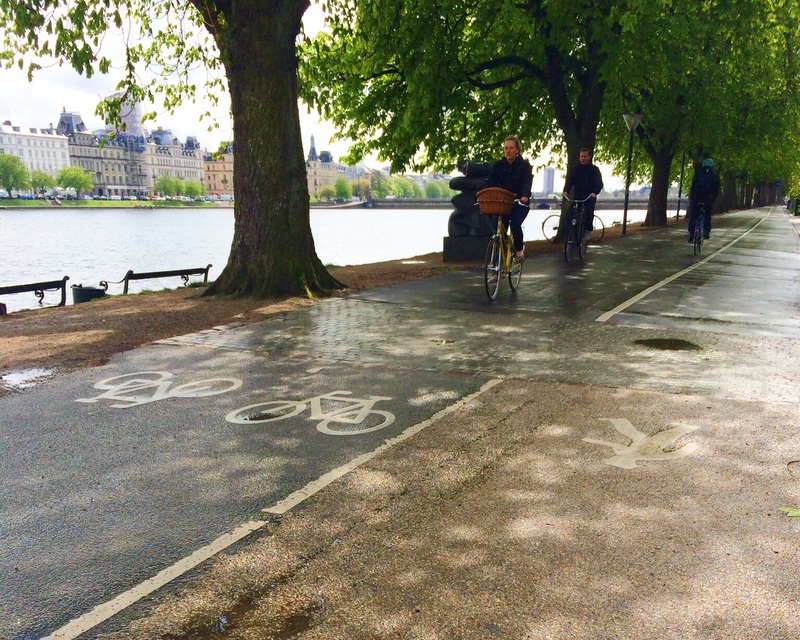 I find it hilarious that I’m living in one of the most bike-able cities in the world….without my bike. I spent 6 years in Philadelphia zipping around on my fixed gear, which is currently residing in my parents’ sunroom. My bike was not only my favorite mode of transportation, but she was a big part of my life. Due to her red paint job, I named her Paprika. We went everywhere together, and some of my happiest times in Philly were centered around my bike. I vividly remember sitting with friends on the walls in Rittenhouse Square with our bikes underneath our dangling legs, racing my roommate on our 5 mile ride to class, and doing victory laps around city hall after the Phillies won the World Series. Not many people biked in Philadelphia, so anyone on two wheels shared an unusual bond. That being said, anyone who has biked in the City of Brotherly Love, knows that the love doesn’t always extend to cyclists. The streets themselves aren’t exactly welcoming for bikes. A good number had no bike lane, so you had only a few inches separating you from the moving cars on one side and parked cars on the other. The few bike lanes we did have were usually full of illegally parked cars or people standing around waiting for their buses. Many bikers (myself included) spent their days dodging both cars and pedestrians and most likely getting yelled at by both. Biking wasn’t exactly safe back home, but I did it anyway, despite my parents’ protests. 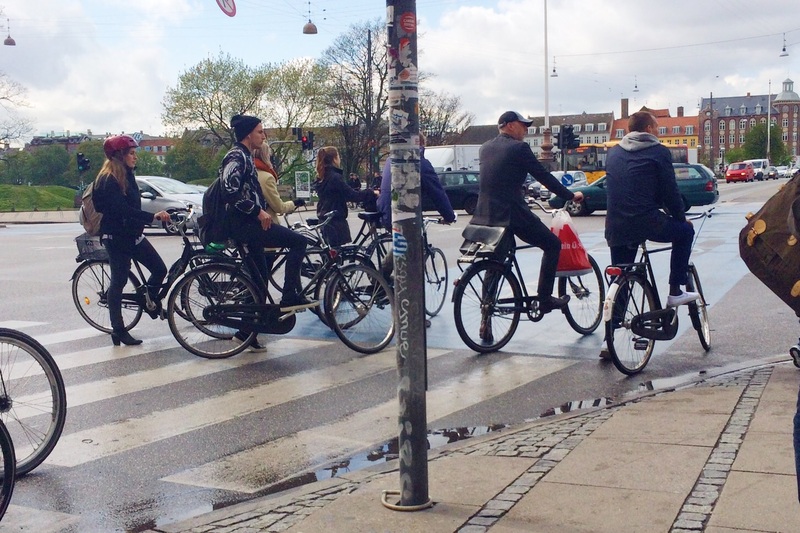 Needless to say, I was pretty amazed when I came to Copenhagen and saw how bike culture is complete different here. Three things in particular stand out to me. 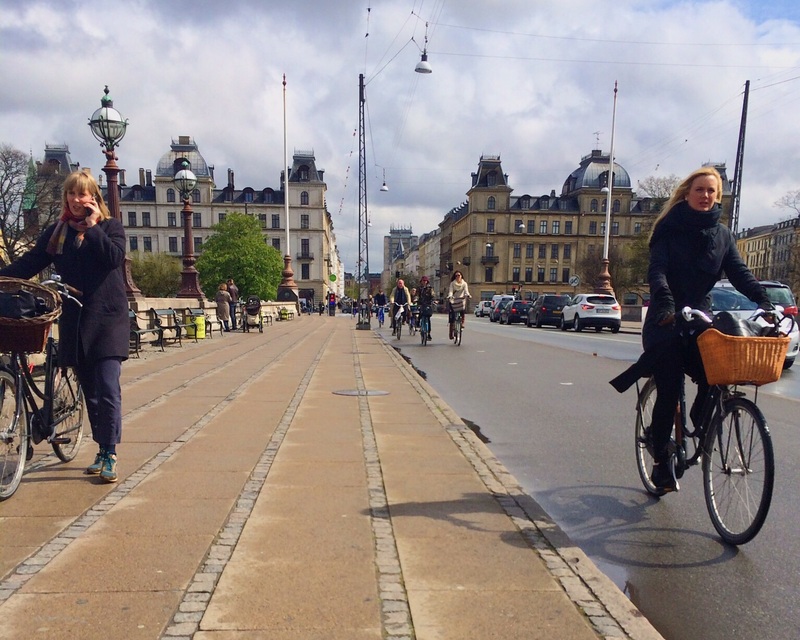 #1: Everybody in Copenhagen rides a bike. That’s not an exaggeration. Back home, mostly young 20-somethings are seen on bikes, but here, all ages are biking. Even young children can be seen biking alongside their parents. Every single street you see is filled with bikers. There’s even a counter on Dronning Louises Bro (Queen Louise’s Bridge) that keeps track of how many bikes cross the bridge every day and the total for the year. 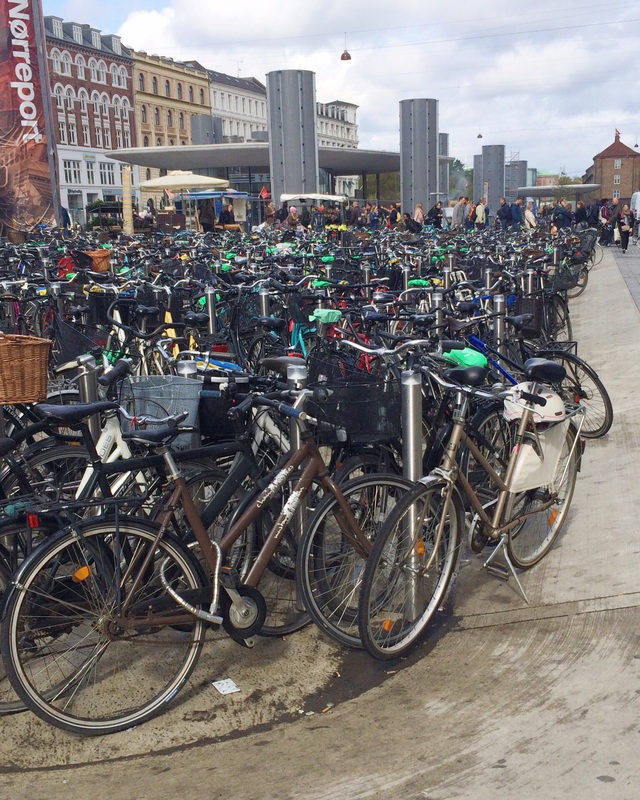 And around Nørreport Station, there is a sea of parked bikes, just waiting to be ridden again. And if that’s not impressive enough, the safety of the bikes is also pretty intriguing. #2 Locking your bike isn’t really necessary. I spent years biking around Philadelphia, but I spent almost as much time searching for a good spot to lock up my bike. Despite the number of bikers being so few, there weren’t many reliable parking spaces. Many times, I have gotten frustrated and just locked onto my friend’s bike instead of walking a block to find a street sign. Here in Copenhagen, it’s different. You can get off your bike, prop up the kickstand, and just walk away. Newer and nicer bikes are sometimes still locked, but the vast majority of bikes are left unprotected. I would never leave Paprika unlocked in Philly, and I probably couldn’t leave her unlocked here either. But maybe that’s just because I’m not from Copenhagen. But leaving the bikes unlocked still isn’t the most shocking change in bike culture for me. The next point was probably the weirdest thing I’ve ever seen. #3: Everybody follows the rules. Back when I was biking in the States, one of the biggest gripes that people had with bikers was that we didn’t follow the rules. No one signaled for turns, weaving through traffic was common, and running a red light was fine if no cars were coming. That is not the mentality here, and with good reason. Bikers have well-established traffic lanes as well as separate traffic lights, so for all intents and purposes, bike traffic moves exactly as car traffic. People patiently sit during red lights, signal when turning or stopping, and stay in their lane. I’m still slightly astonished to be honest. Seeing the bike traffic move so smoothly is pretty amazing to me, and now I can hardly remember what biking back home even looks like. Now that the weather is nicer and spring is definitely in the process of the being “sprung”, I am feeling the absence of my bike more than ever. Paprika and I drifted apart in the last few years. I slowly started biking less and less. I got a job in the outskirts of the city, and my friends moved further way. So, I purchased a blue Fiat, whom I named Beauregarde. (She’s like a little blueberry. Violet Beauregarde. Willy Wonka. Get it?) I enjoyed driving around in Beau, but it was nothing compared to the experience I had with Paprika. I didn’t truly get to know Philly until I started biking it. Now, I can’t wait to get acquainted with Copenhagen in the same way. Heck, I’ll even follow the rules. Love your blog! When are you coming to Philly? Omg – this post was seriously everything to me! You have me so excited about visiting Copenhagen this summer! Can people rent bikes there? 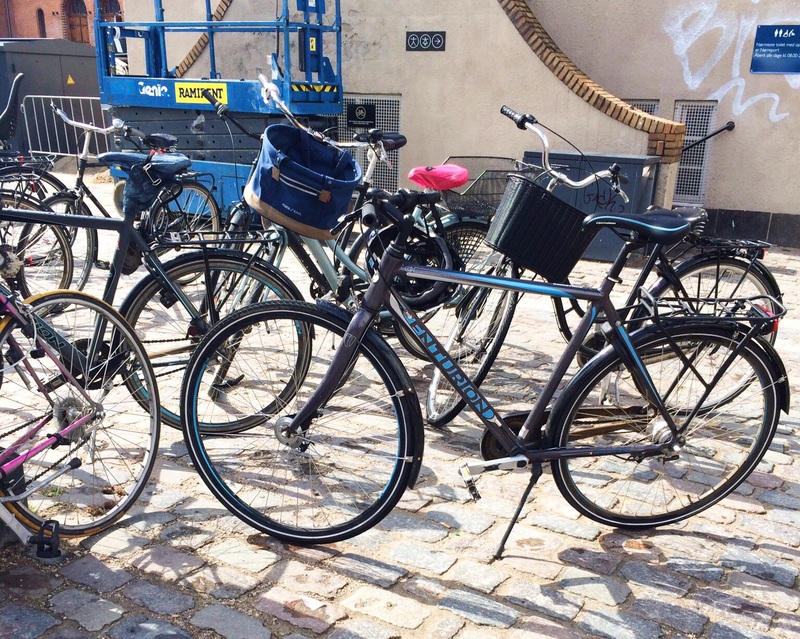 I went to Copenhagen with my 6 year old daughter last month and we were blown away by the bike culture, so much so that we both dug our Bobbin bikes from storage and started riding everywhere. Well she does, I normally run behind her – too scared she may need my help to be on my own bike.